Venison Advisory Service - Do you want to start a deer farm? The Venison Advisory Service Ltd (VAS) is a consultancy established specifically to provide support and advice to those considering setting up a commercial deer farm as a business venture or an additional revenue stream. The UK venison market is growing and UK producers cannot currently produce enough venison to meet demand. Scotland is a major supplier to the UK and European markets, with an estimated out-turn of some 3500 tonnes per annum, the majority of this coming from the wild red deer cull. Market data (May 2018) from the Scottish Venison Partnership is available here. Scotland’s deer farms now produce around 75 tonnes of venison per annum, and the wild red deer cull is static (and forecast to decline) creating an even greater vacuum to be filled with imported product. 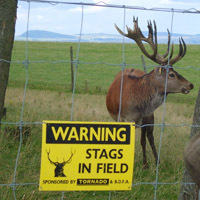 This is why Scotland’s deer farming sector needs to expand. The drive towards healthier eating, greater awareness of venison as a healthy food, and increasing interest from Scottish Government and its agencies for development in this area all present an encouraging backdrop. Scottish venison also already enjoys an enviable reputation and an excellent image not just in the UK but further afield. 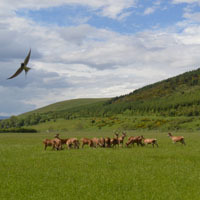 Scotland has a mix of suitable terrain, ideal climate, access to wild stock and access to markets that make deer farming prospects well suited. Indeed, Scotland pioneered the concept of deer farming in the 1970s, although it has never developed here on the same commercial scale as it has in, for example, New Zealand. The initiative to encourage more farmers and landowners to consider the commercial opportunities arising from farming deer is gathering momentum. The Scottish Venison Partnership, the pan-sector group that promotes Scottish venison and represents its producers, has estimated that Scotland needs an additional 1000 tonnes of venison by 2020, and more as the market continues to develop. The Venison Advisory Service has been established to provide quality, experienced project-led advice and consultancy to those looking at deer farming as a commercial, revenue-generating opportunity, not just in Scotland but across the UK and internationally. Find out more about the services the Venison Advisory Service has to offer to those wishing to get started in deer farming. 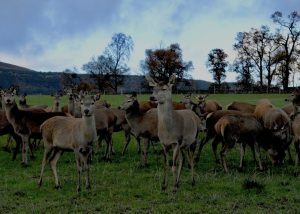 The VAS starter guide to deer farming and deer park management, produced as a part of the Scottish Government funded Deer Farm and Park Demonstration Project is available to download here .